Hmmmm. 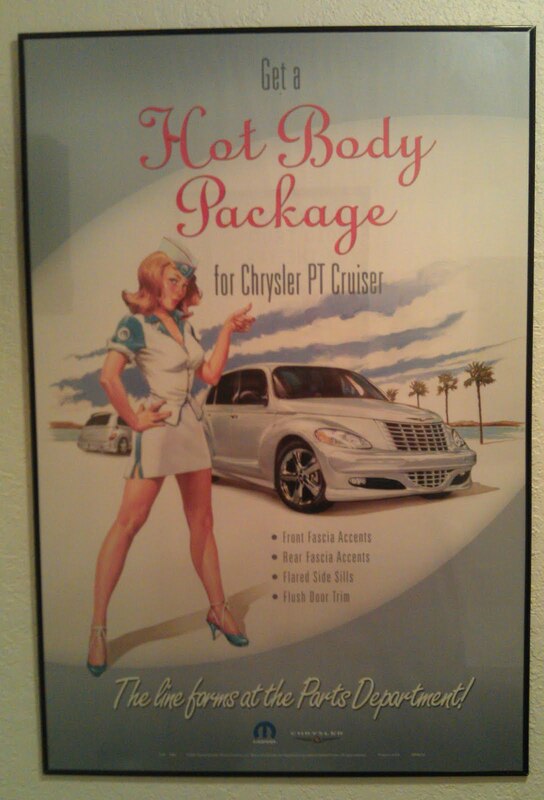 Curious that this particular image should be in such an advantageous place in the men's room, isn't it? 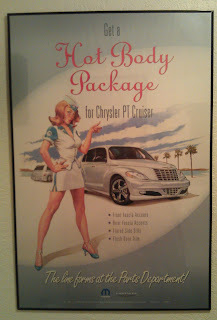 It did do a good job of aping the artistic style of old late '50s/early '60s car ads, though.